Researching editorial illustration artists and their work in newspapers, magazines and online articles. An editorial illustration is usually a commissioned piece of work given to accompany an article in a newspaper or magazine. 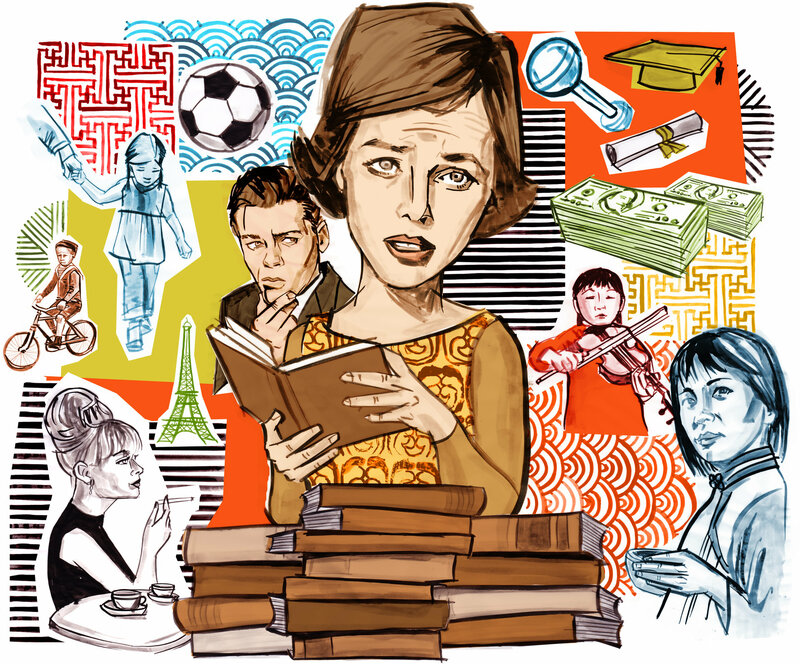 This type of illustration is aimed to respond, highlight, exaggerate or explain the text in some way. 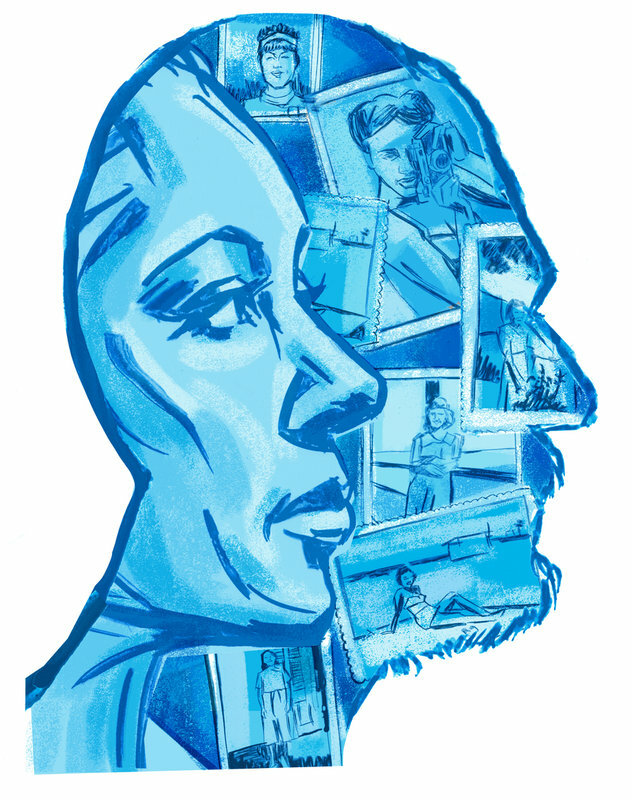 It is crucial to understand what the text is about in order to produce a good editorial illustrations. 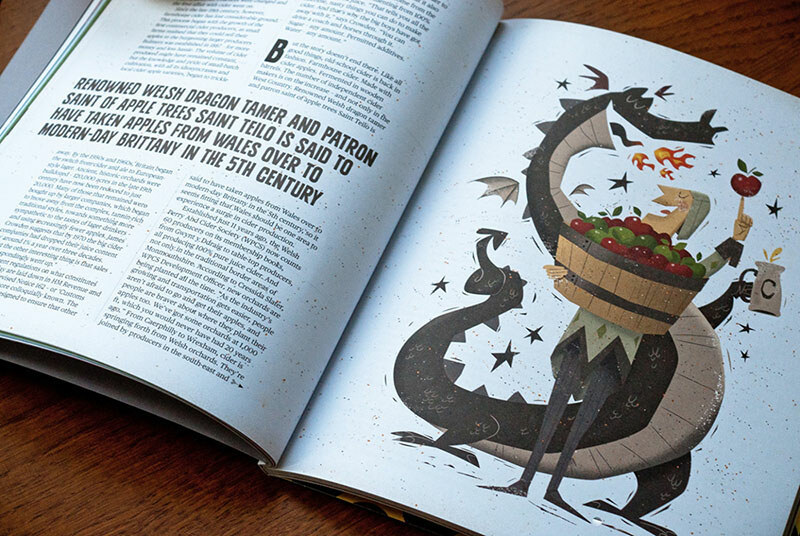 Here I explore some of the found artists and their editorial illustrations. 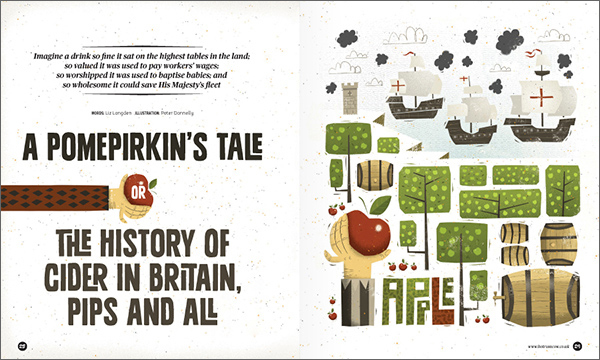 Peter Donnelly’s (Dublin, Ireland) work for magazine Hot Rum Cow: A History of British Cider. 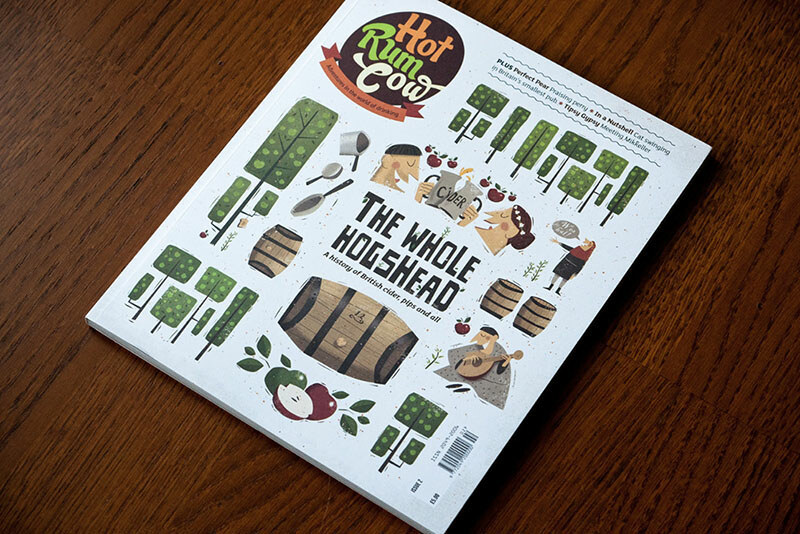 I found his editorial’s really telling the story of the magazine, what it is about and especially the style Peter Donnelly creates these illustrations. The added characters and textures show the engaging experience of the brand, makes it look live and humble. 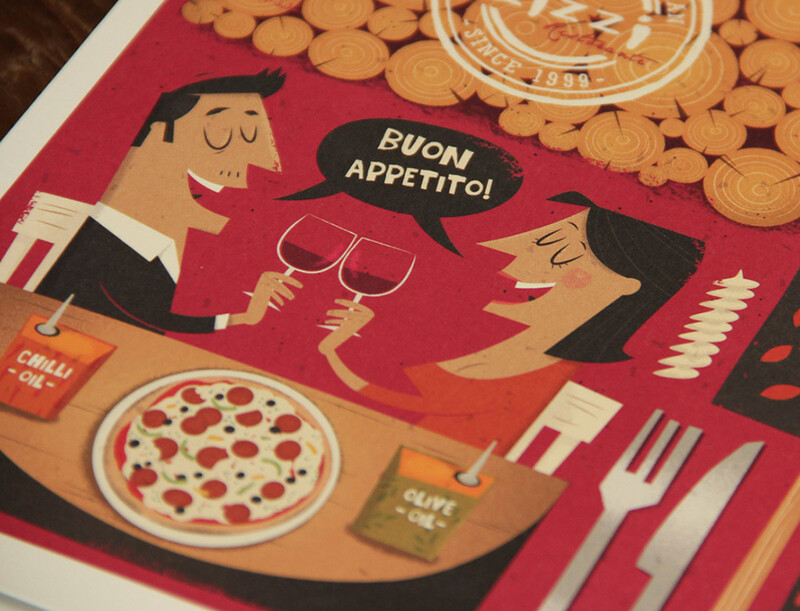 Another editorial illustration created by this talented artist Peter Donnelly is his illustrated menu for Zizzi Restaurants. Again, his character designs, cartoon look like drawings with the essential marking style fit well into the task of the menu. No text reading needed, only a glance and you easily realise it is the menu for the Italian restaurant. Moustache on the chief, ingredients and atmosphere is easily understood and beautifully crafted! 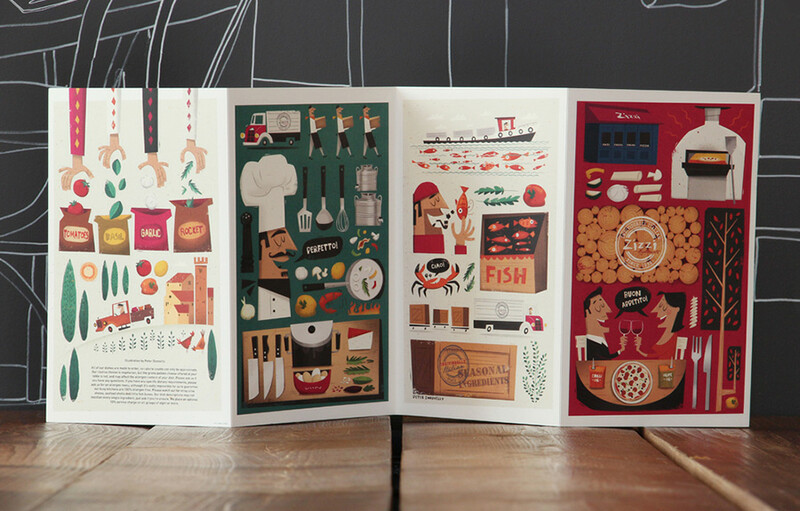 Find more of Peter Donnelly’s work via Behance or Online Portfolio / website . 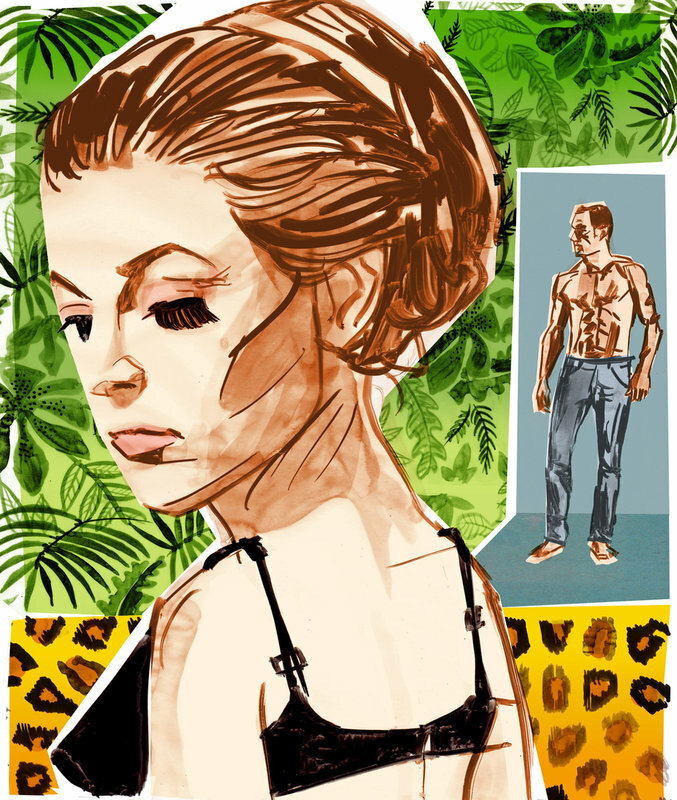 What I loved about Johanna Goodman’s work is the brushes, patterns and textures, her editorials do highlight the most important about the article is drawn for. 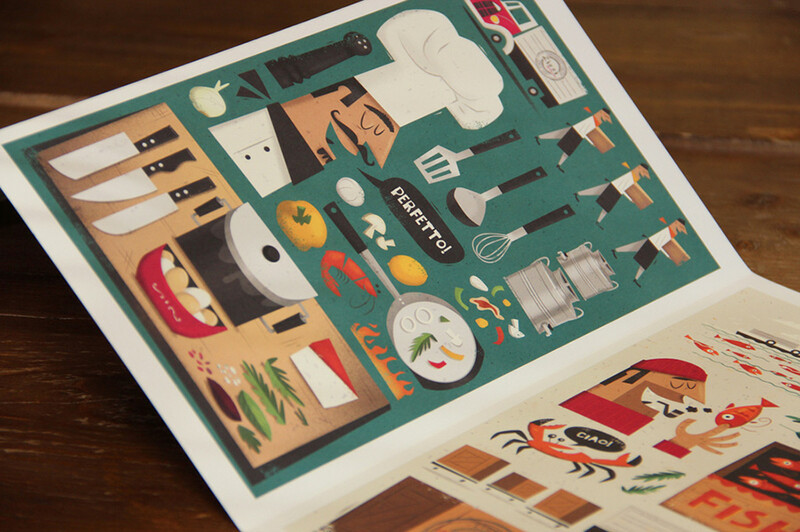 Furthermore, usage of various colours and symbols treat these illustrations really well. After the done research, I will now proceed to create my editorial’s based on The Strange Tale of the Aldgate Station Ghost.